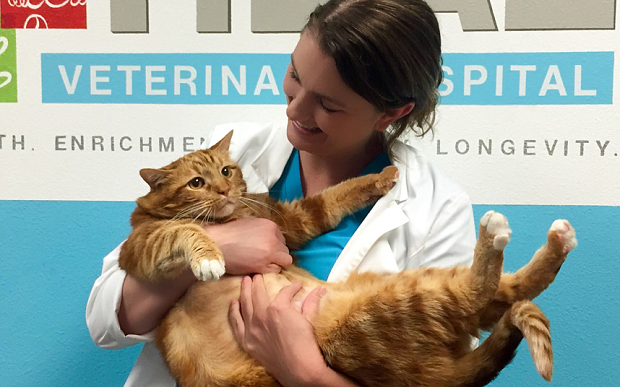 A formerly obese Texas cat has finally won the battle of the bulge and has lost more than 20 pounds. 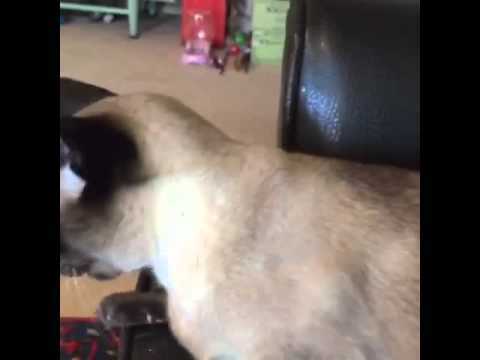 Elvis the Siamese cat gets very talkative when asked his favorite question! 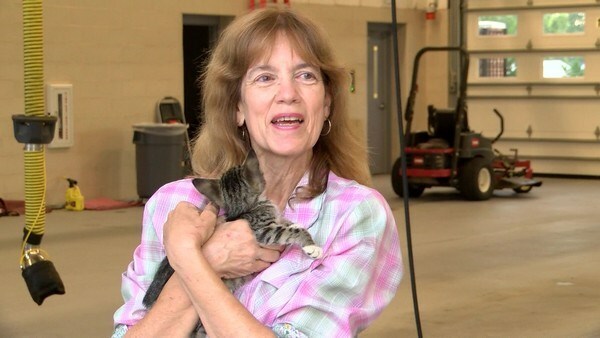 A feel-good kitten rescue story has come full circle to a very happy ending with the kitten’s adoption into the perfect home. 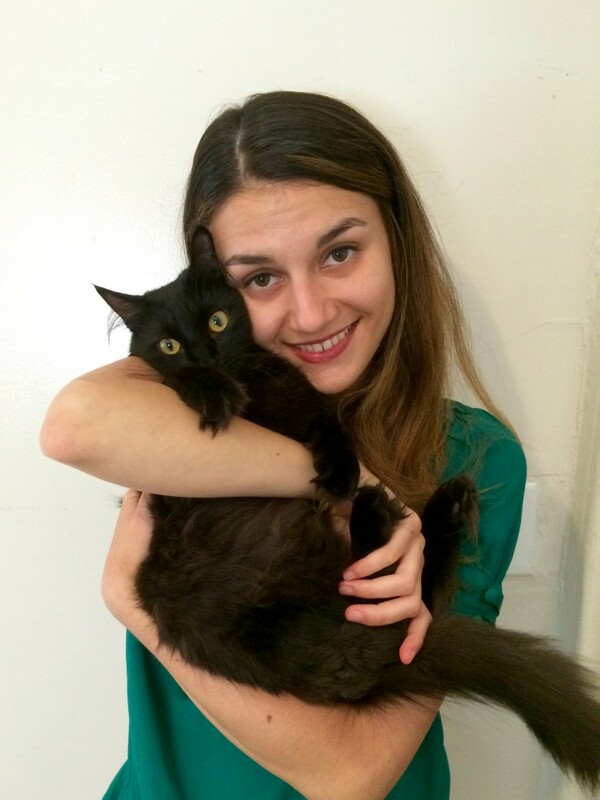 Franzie Kitty Waves to Ask for Love! 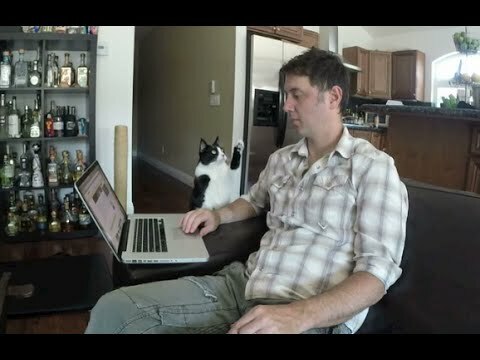 Franzie the famous Hugging Kitty waves at Dad to ask for attention, then gives one of his special hugs in this cute new video. 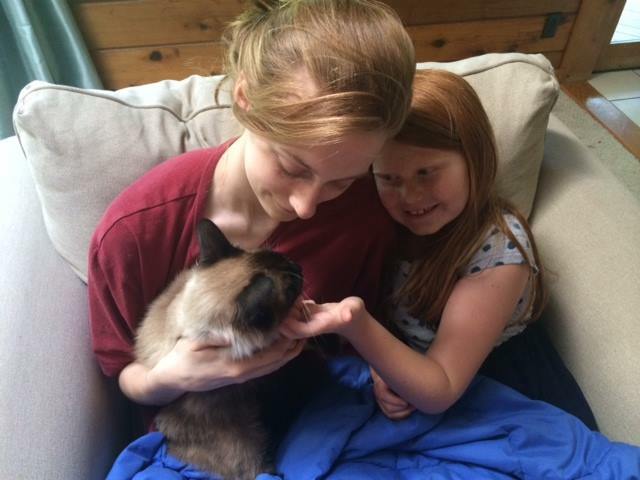 Bogie was found by a colony caretaker in Hawaii and, thanks to his microchip, has been reunited with his family in Michigan. 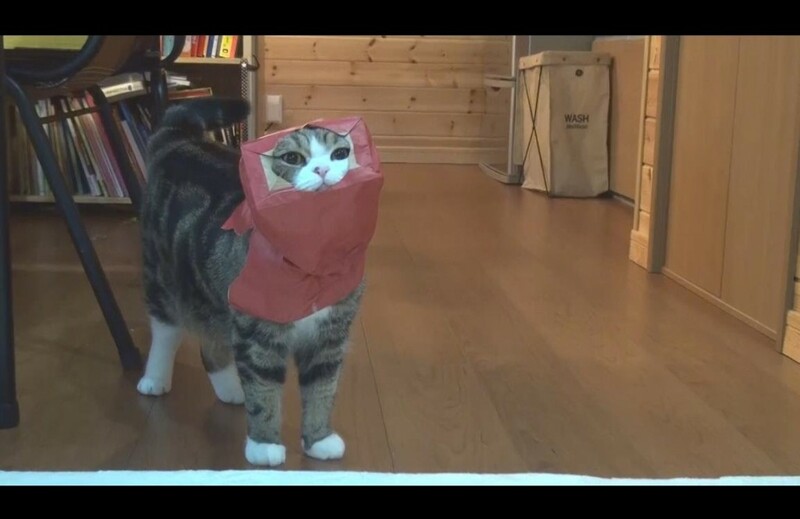 The lovable little star puts on a fashion show while wearing his red paper bag. 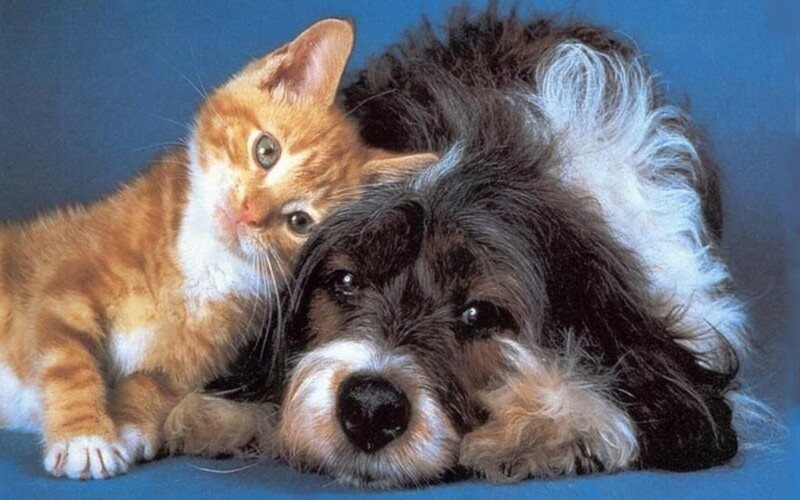 Kitty wants to share some of baby’s graham cracker and won’t give up trying! 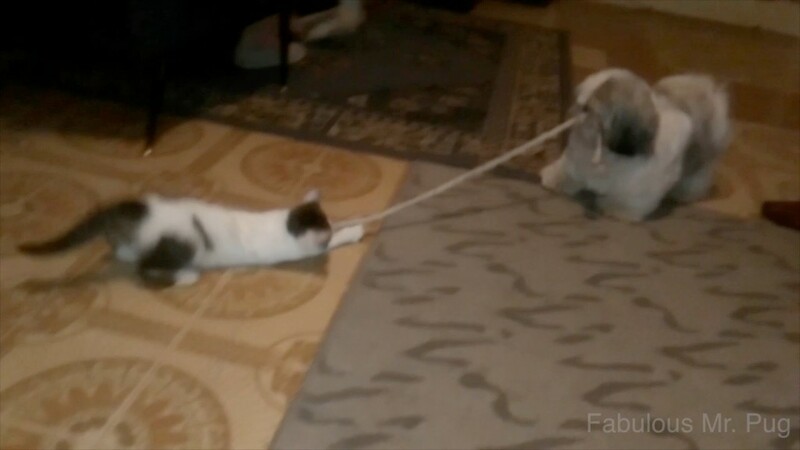 Zeke the cat and Missy the Shih Tzu play a silly game of tug o’ war with length of rope in this cute video. Raw video shows the moment police officers rescued George the cat from a NYC subway track bed early Wed. evening and handed him back to his petmom.